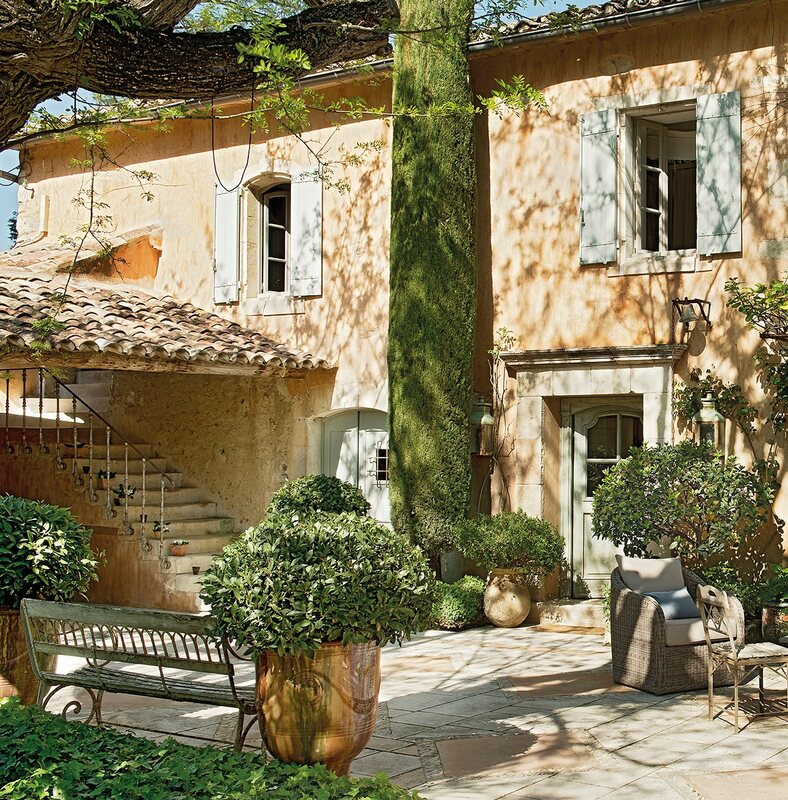 The interior designer France Loeb and the renowned painter Michel Loeb, rehabilitated 20 years ago this farm of the early seventeenth century located in La Provence, southern France. 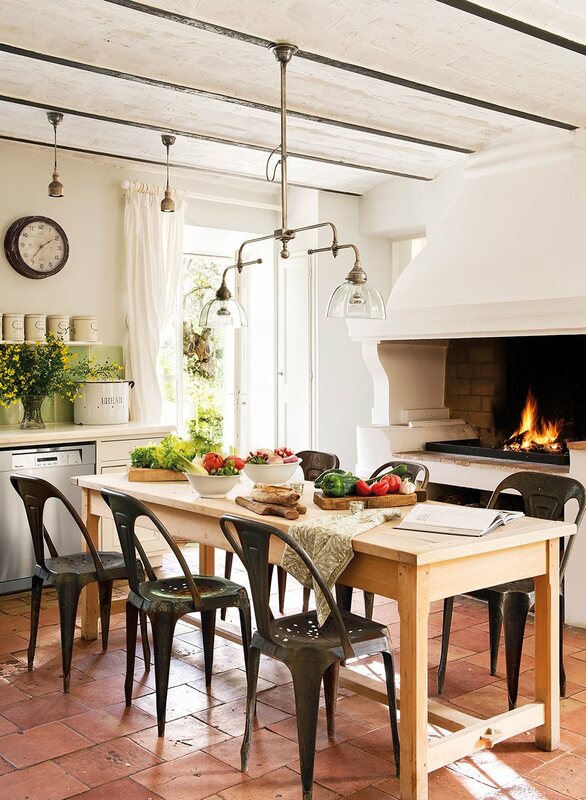 Although its current owners have provided her personal touch, she still maintains the romantic style that characterizes this region and that makes her prone to harbour love stories inside her. We invite you to know the history that hides this house and its incredible detail design detail. 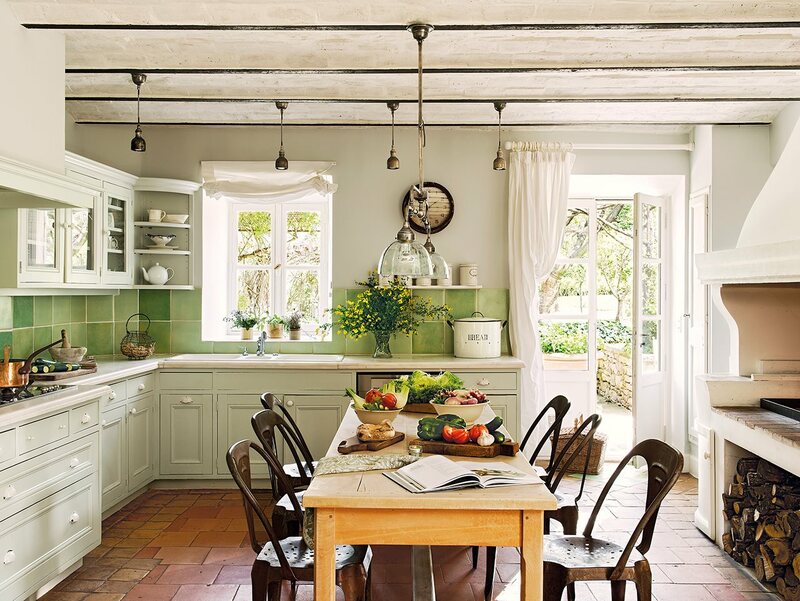 Its current owners fell in love with the south of France on their honeymoon, the beauty of this region was reflected in the couple and this old farmhouse made house everything related to it. The extern part includes intimate courtyards with fountains and Parisian park chairs, surrounded by floral plants such as roses, jasmine, iris and fig trees. 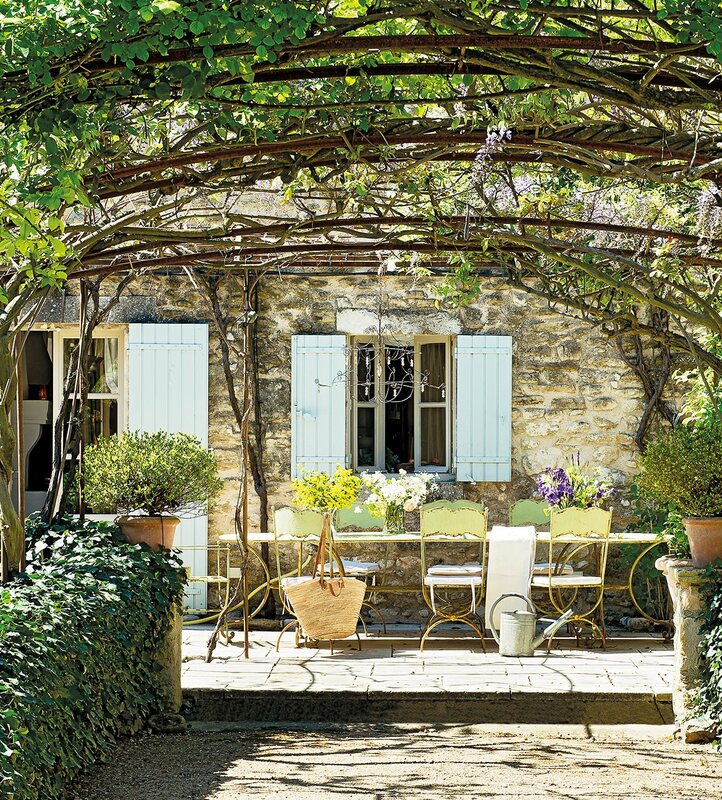 The views are exceptional, locating them around a French vineyard, so being able to have lunch in its majestic garden is a pleasure. 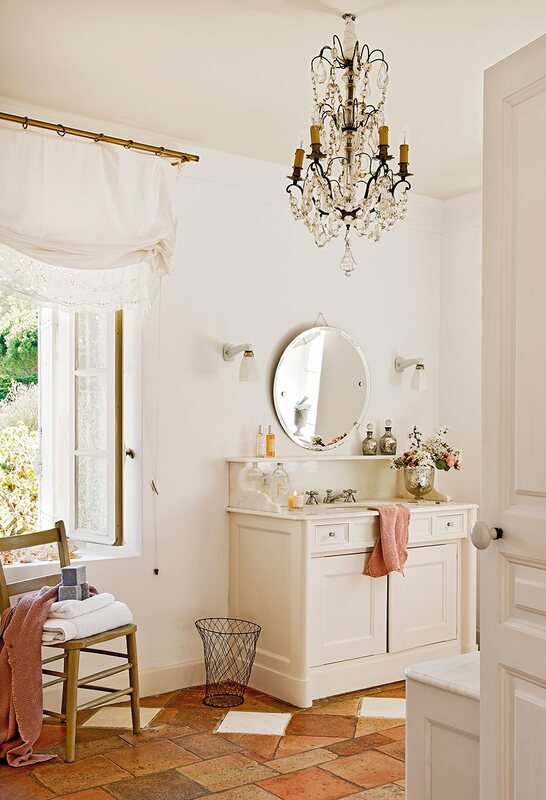 The decoration is designed to bring luminosity to all rooms, with its cream colours bring serenity and the combination of Provencal and refined furniture give Parisian air that stands out in all corners of the house. 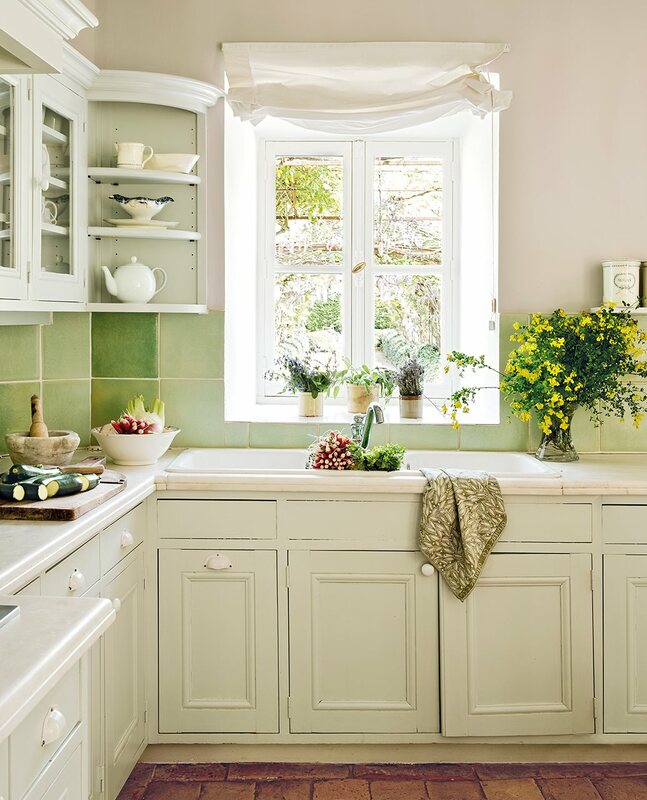 The kitchen has views of the wisteria tunnel and, in addition, incorporates stones from Provence, railings and ancient pillars, elements that were incorporated by the previous owner and in which her strong romantic spirit stands out. 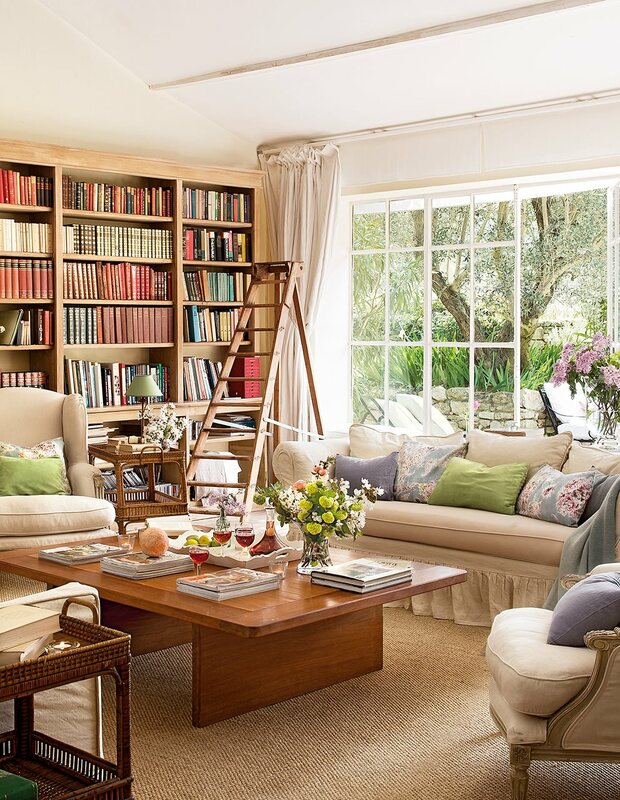 The current owners have continued the decorative style adding their decorative character. The bedrooms, on the first floor, stand out for their soft colours and refined furniture. 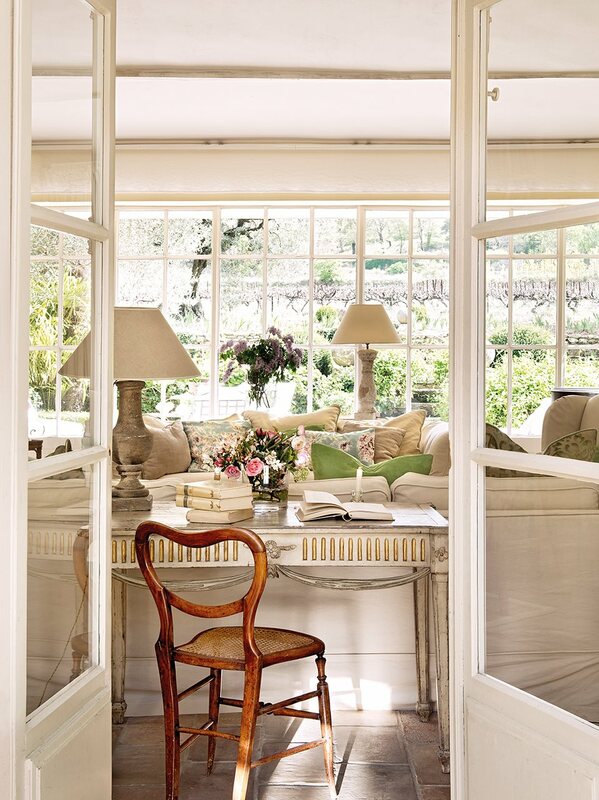 Its French doors with exit to the balconies argue the Provencal style of the house and the views are to the Luberon mountains. 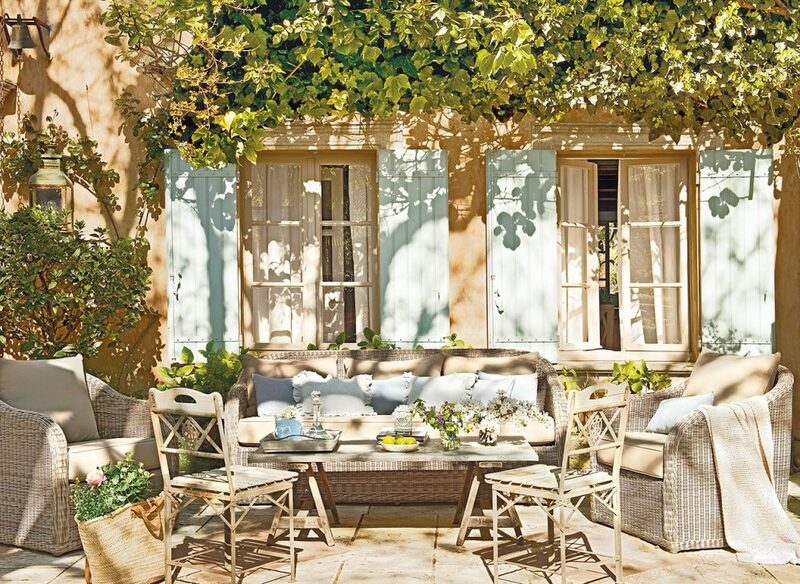 What do you think about the history and romanticism that this spectacular villa contemplates?